Resource industry success benefit us all, Resource Works says. Some more than others, I say. Boost production in B.C.’s resource industries and we’ll all be better off — especially those of us in the Lower Mainland. That’s the soothing message emanating from the province’s newest corporate-sponsored think tank, Resource Works. It’s good news for all of us, and especially for the Christy Clark government, which has hitched its horse to the resource-development cart. But is it true? Will we be better off with increased resource industry production rather than, say, increased tourism or technology development? Such questions arise given the close links between Resource Works, the mining industry and the Clark government. Resource Works was launched with a big splash in April. A paper produced for the fledgling think tank by Philip Cross, Statistics Canada’s former chief economic analyst, concludes that cities benefit the most from resource development because that’s where financial, business and even transportation services are located. More resource-based jobs are created in the Lower Mainland than in the rest of the province, Cross’s study found. This could be true. Think of all those Lower Mainland-based lawyers, lobbyists, insurance executives, financiers and PR flaks needed to protect Imperial Metals from the damage wreaked by its devastating Mount Polley tailings pond collapse. Then think of the baristas to serve their coffee and the foreign nannies to look after their kids. And so on. Development good, but compared to what? To launch his study, Cross and advisory council chair Lyn Anglin met with the Vancouver Sun and Province editorial boards on a Wednesday. The next day both papers published uncritical accounts. (See here and here.) The Globe and Mail followed in similar fashion the next day. All three papers presented the same message: most jobs created by resource development are in Greater Vancouver. And Resource Works is not an advocacy organization, but one dedicated to providing research to help the public make sound resource-industry decisions. The organization’s ability to command such positive media attention may be related to the fact that executive director Stewart Muir was the Vancouver Sun’s deputy managing editor for nearly 14 years. But something is missing from Philip Cross’s research. Resource development may be good, but compared to what? Cross should have compared resource to other economic development. Does resource development create more jobs than tourism, high tech or some other sector? Perhaps we don’t need more mines, liquefied natural gas plants and pipelines because we can focus on more environmentally sustainable green alternatives. By omitting information that would provide a meaningful comparison, Cross created a misleading study — the kind of study Resource Works, the mining industry and the Clark government evidently need. Perhaps it’s worth probing the relationship between the three. Stewart Muir has been in the news before because of his close connections to Christy Clark. He’s married to Athana Mentzelopoulos, who’s now deputy minister of jobs, tourism and skills training, and before that was in charge of Clark’s “priority” files. She’s so close to Clark she was bridesmaid at Clark’s wedding. In 2011, Muir was awarded a $141,000-a-year contract for the job of vice-president of communication at Vancouver Island Health Authority. The job wasn’t posted and tenders were not called. When the news broke, the contract was withdrawn. Now Muir is heading Resource Works. Another link to the Clark government is provided by Resource Works director Geoff Plant. Plant was attorney general under Gordon Campbell and was appointed by Clark in 2012 as the government’s chief legal strategist for the Northern Gateway Pipeline Joint Review Panel proceedings — resource development writ large. 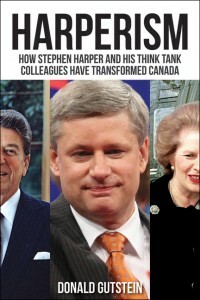 His expertise is aboriginal law, crucial territory for Clark’s resource-exploitation agenda. Resource Works’ links to mining are just as strong. Board chair Doug Horswill is a senior vice-president at Teck Resources, B.C.’s mining giant. Before his stint at Teck, Horswill served as B.C.’s deputy minister of energy, mines and petroleum resources. And before that he worked at mining companies Utah International and Inco. It’s B.C.’s version of the revolving door syndrome. Advisory Council chair Lyn Anglin is the former president and CEO of Geoscience BC, a provincially-funded body whose mandate is to attract mineral and oil and gas investment to the province. Resource Works research could certainly assist this mission. As to who is funding the research, the organization did volunteer the information that seed funding came from the B.C. Business Council, but did not disclose other sources of funding. No media outlets followed up on these connections. Instead, Resource Works teamed up with the Province newspaper to produce a weekly feature on how important trade, industry and resource development are to the B.C. economy (paid for by whom?). The paper gave Muir a podium to argue that we can’t have health care without LNG development. And it gave a similar podium to Resource Works adviser Dan Miller two weeks later. Miller, a former Prince Rupert NDP MLA who was briefly premier as the New Democrats imploded in 2000, is a long-time resource industry evangelist and a consultant with PR powerhouse National Public Relations, which has Enbridge as a client. Miller argues that Vancouver Mayor Gregor Robertson won’t get his Broadway transit line and the BC Teachers’ Federation won’t get pay raises without increased coal exports. It’s an effective message. We can’t retain our standard of living without the pipelines, tanker traffic, LNG plants, mining developments and coal export projects that are in the works. Repeat the message often enough and we’ll soon start believing it. Or if we don’t believe it, we’ll at least accept it as legitimate political discourse. And Christy Clark can get on with the business of re-election.